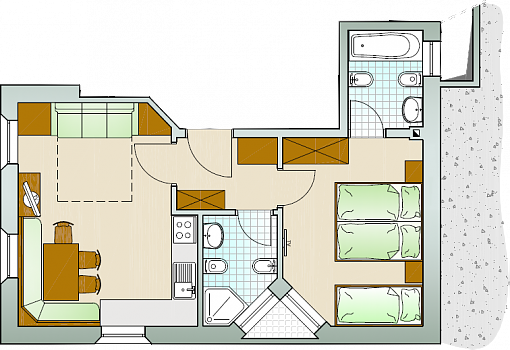 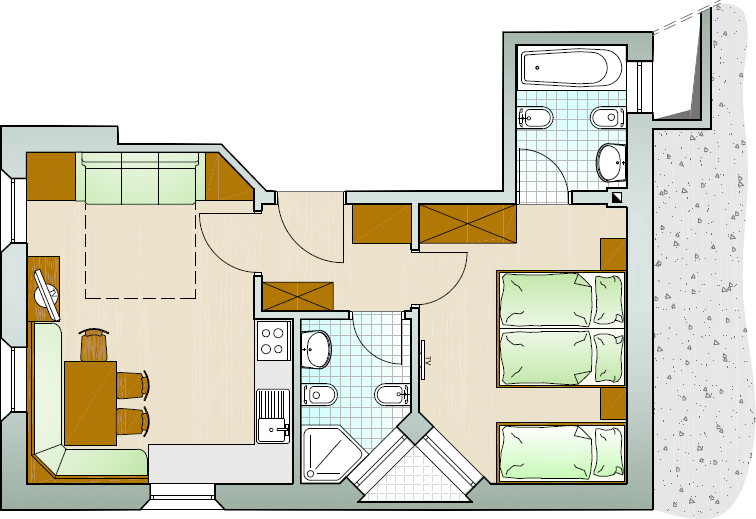 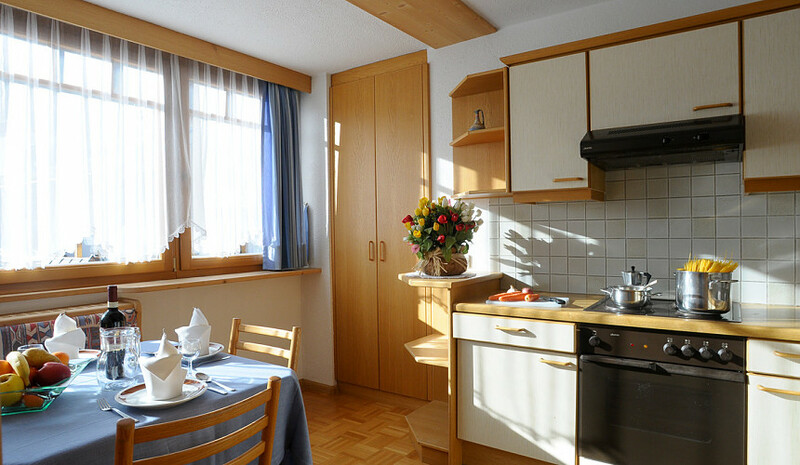 The apartments of Residence Vajolet are located in a central position in the pedestrian area in San Cassiano. 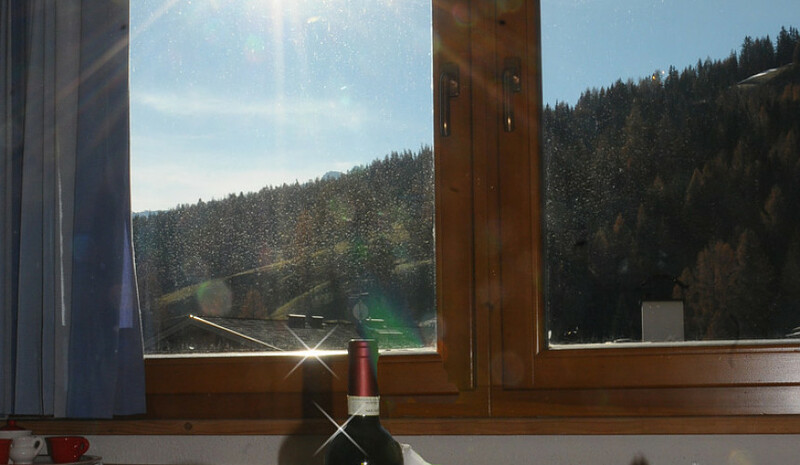 The position is central and quiet to offer you the relax you seek after a full day of skiing or trekking in the Dolomites. 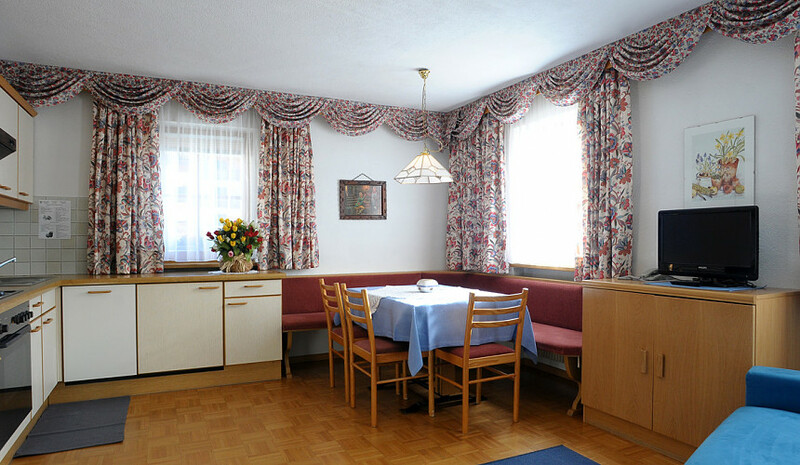 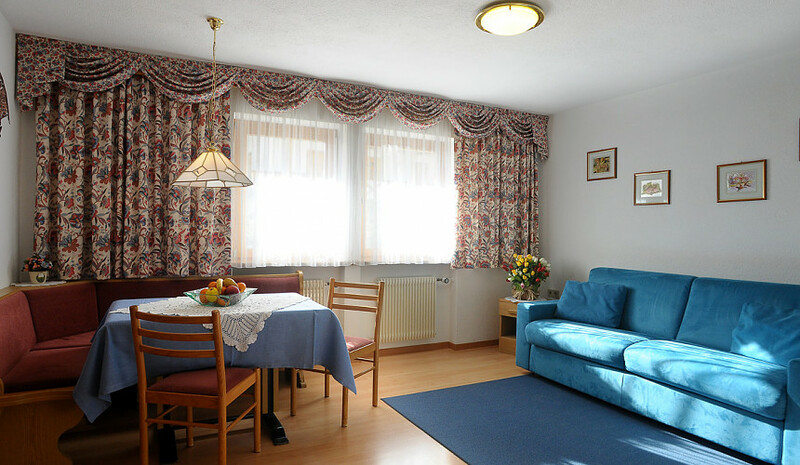 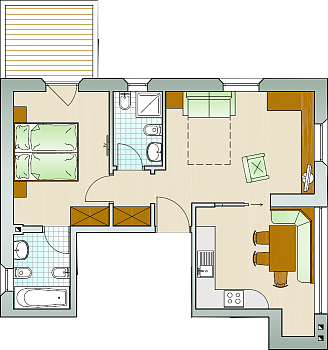 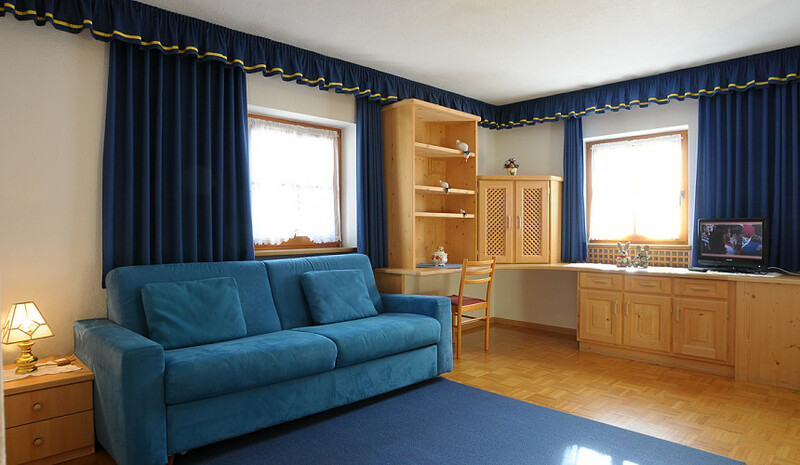 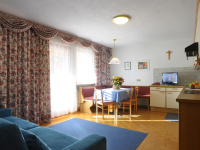 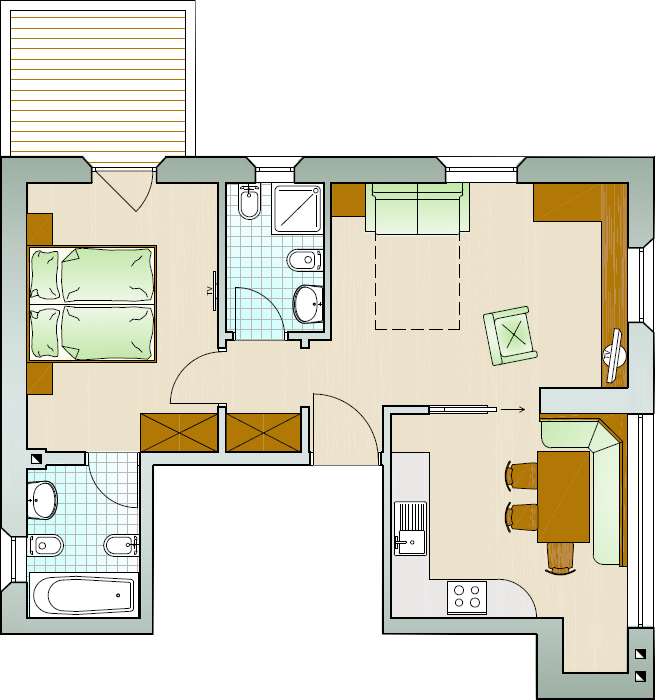 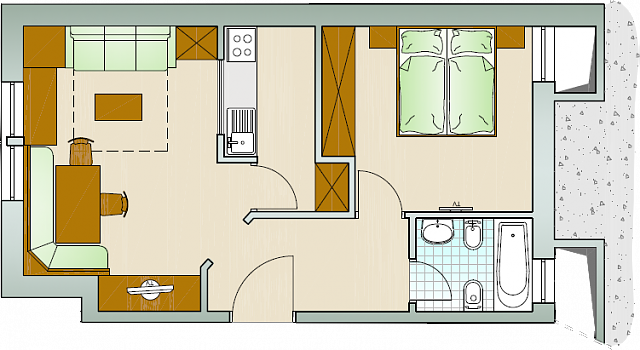 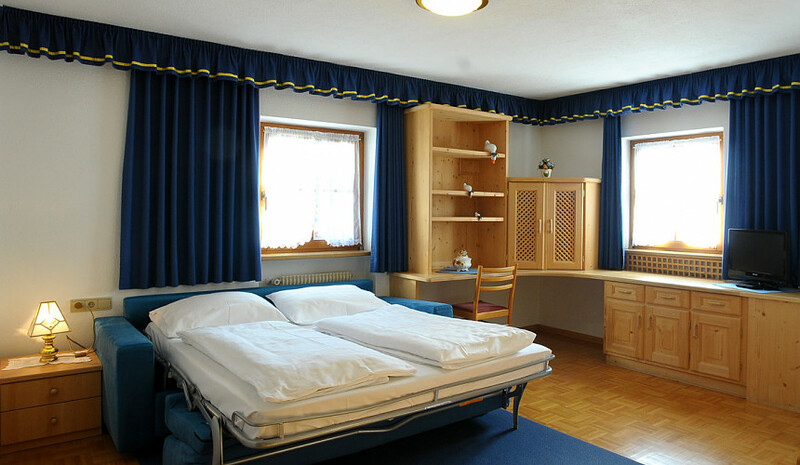 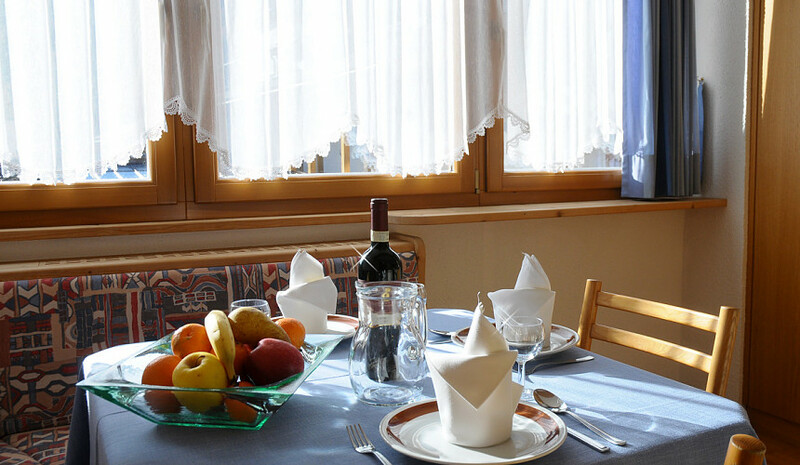 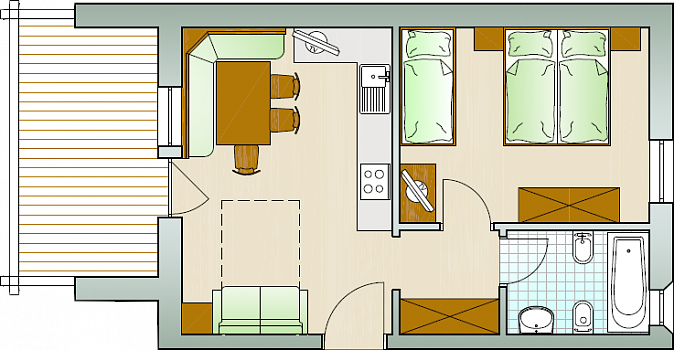 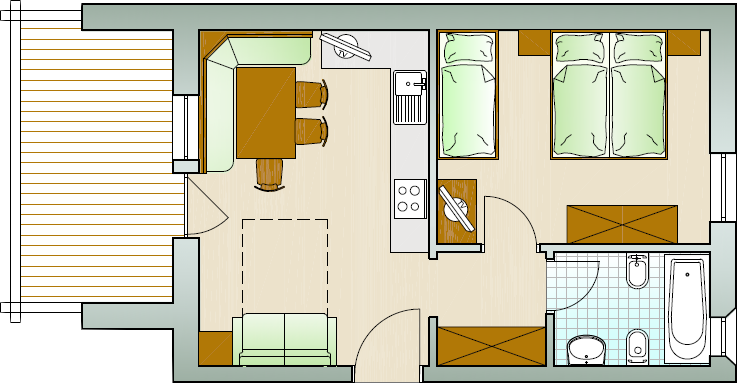 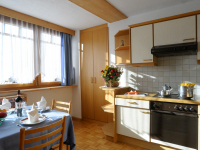 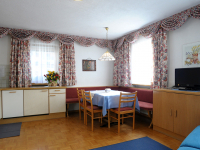 The apartments are furnished in the typical style of South Tyrol and Alta Badia. 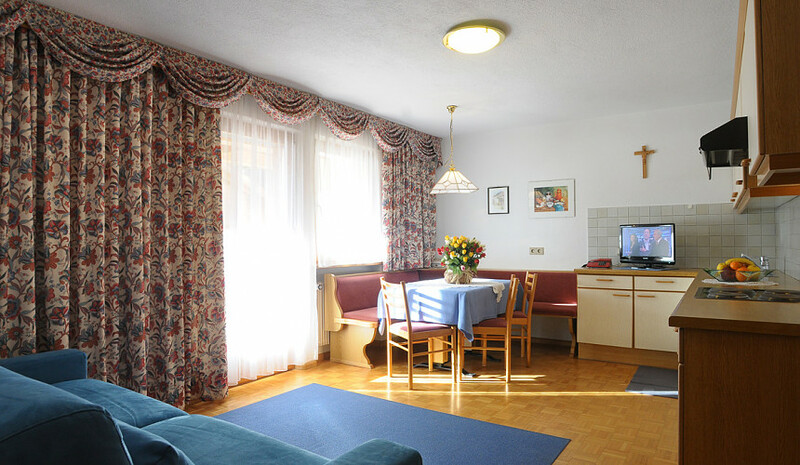 They have various sizes and structures to meet every guest's expectations. 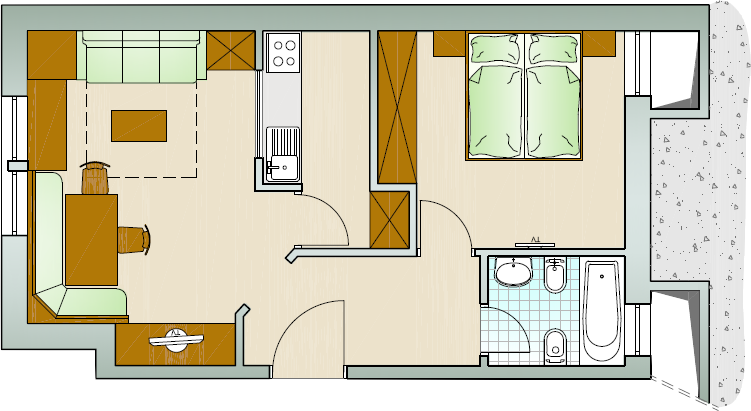 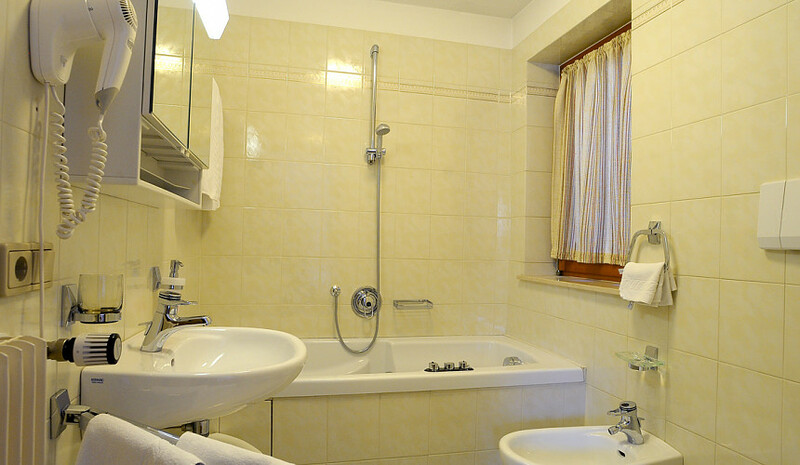 The apartments have bathroom with bathtub and whirlpool, TV SAT, free WI-FI connection, telephone, hair-drier and safe. 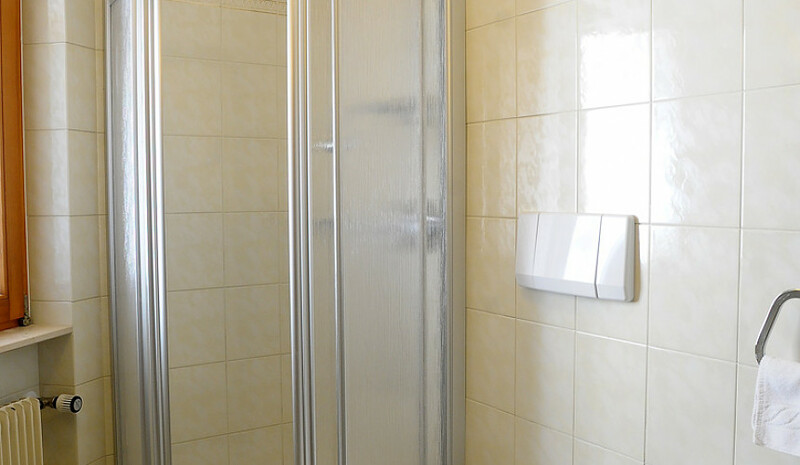 Bath towels, bed linen and the daily cleaning of the bathrooms and the floor are included in the price. 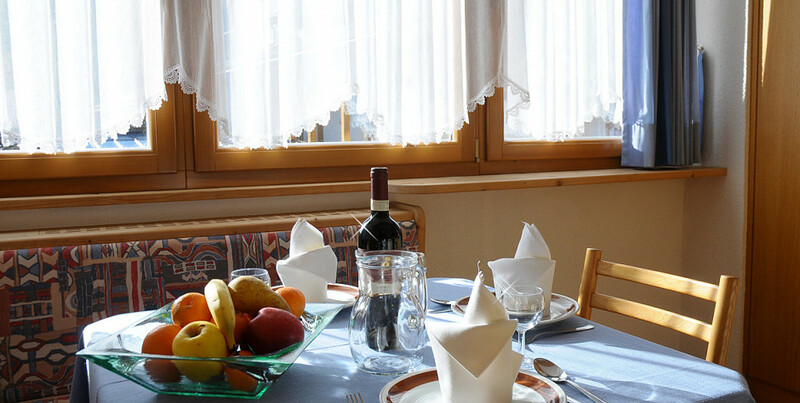 Upon request, you can rent the apartment taking advantage of half board service (rich buffet breakfast and dinner) at the Hotel Vajolet, accessible from inside the residence.